Description Of the five pillars of Islaam, Namaaz (prayer) is second only to Ieemaan (belief), the most important and the most essential form of adoration which is absolutely obligatory on every Musalmaan. 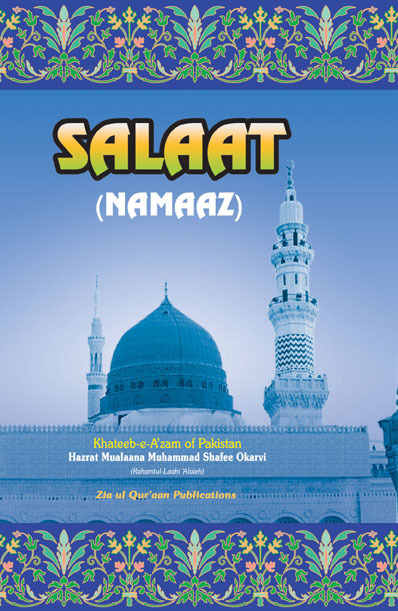 Hazrat Maulana Muhammad Shafee Okarvi (Rahmatul Laahi ‘Alaieh) wrote this is comprehensive book about Namaaz, which is translated in many languages. There are many who do not have proficiency in reading Arabic, it was therefore absolutely necessary to bring out books for them with Arabic words in Roman transliteration. A must read and share!